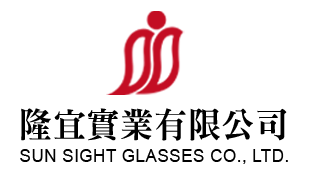 Since 1983 Sun Sight Glasses Co., Ltd has been devoting itself to excellence in the design and manufacture of sunglasses marketed worldwide. In order to expand and upgrade our business and address international marketing strategies, we moved our facility from Wenzhou toXiamen in 2006. Carrying the same concept of quality first as it headquarters in Taiwan , XIAMEN SUN HAVEN OPTICAL CO., LTD. started to run the production in August 2007. In addition, we opened an institute for new product development and design here in Taiwan. Using computer technology for design and with over 10% of our revenue put back into design efforts we are driving forward to develop a wide variety of high-end sunglasses and sports glasses and ski goggles. The combined production capacity of both our factories can up to 50,000 dozen pairs a month. Our exports reach 40 different countries including the US, Australia and Japan, and a number of European countries. With a standard of quality approved by our customers as well as our peers, we are maintaining a growth rate of 20% annually. The desire to maintain an edge in the competitive global marketplace has driven us to focus on the key points of high quality, and the high-powered development and design. In the past, most factories have depended on copied sunglasses or OEM production, strategies that often lead to price slashing and competition. Rather than pursue this path, we have opted to upgrade our competitive edge, eliminate price slashing, align ourselves more closely with current fashion trends, and accelerate the development of new products. We have installed a molding department, as well as a product inspection center to insure the comfort and safety of our products. We are one of the few professional sunglass manufacturers in Taiwan that can perform product design, molding development, injection, inspection, and marketing all under one roof. In order to enhance our cooperate practice, upgrade our products, and continue to improve on customer satisfaction, we were authorized by U-Tec Consultant Co., Ltd. to introduce ISO 9001 certification standards into our production. We adopted the policy of “Quality First and Customers as our Priority,” and with combined efforts of all our staff, we got the certificate in Feb. 1999. The most exciting thing is that we are not only ISO9001 certified company, but also few of the companies in Taiwanto get SA8000 (social accountability international standards) certificate starting 2005!!! We have expanded our production by establishing a second factory in China, and we will continue to devote ourselves to development and design here in Taiwan. We will continue to work through these and other efforts to hold an increasingly important in the global sunglass market.